It’s guest post Monday! This post is written by Floyd Samson who writes at Their Go I a faith based blog. You can connect with Floyd on Twitter and Facebook. If you would like to be featured on my blog please click here. I’m honored to hopefully contribute to Dan’s calling and message. I met Dan through my site where he graciously reached out and we struck up a friendship and I’m looking forward to the next time we can hook up over a cup-uh-Joe. It was a menial job – the kind of job that doesn’t require a lot in the way of smarts and was sure to inflict pain on a regular basis, especially the way my boss, the owner of the company, wanted it done. In a world of automation and technology, my boss had become very successful building houses the old fashioned way, at least in parts. I worked after school nailing off roofs by hand for twenty five dollars a house. I used my childlike imagination to motivate myself with zero supervision. Each house was a race, from the eave to the ridge while my imaginary opponent on the other side of the roof wanted to win as badly as I did. I timed myself to measure the progress in my menial job, stayed on roofs after school until way past sunset making sure I finished the job. While the ladder, the box of nails, and the hammer were obvious tools needed, the bandaides were a close second. The mutilating of the index finger and thumb, as well as the nail head striking the inside of the index finger during the “setting” strike of the hammer, resulted in the flesh being ripped off the side of the finger far more often than I wanted. Bloody roofs were the norm… but the action of “set” and “sink” in one swing of the hammer coupled with the agility of getting the next nail in position with the left hand full of them allowed a nail to be driven in less than a second per nail. I learned to swing a hammer like few people ever master. While that might be a rarely envied or respected act, it is the attitude behind the action that serves us well, regardless the widget. The owner’s attitude toward change, while lacking, taught me more than how to swing a hammer. He didn’t compromise what he believed was quality for speed and had great respect for those that worked hard and diligent for him adopting his overall leadership philosophies. There is gratification in being honest, fair, loyal, and sometimes down right stubborn when our moral compass demands it. I’ve been in business for over two decades. Who in their right mind would fund a business with substantial start up costs and little equity for a headstrong and seemingly reckless kid? Great post, Floyd – good choice, Dan! Glad you enjoyed it Rick:) Thanks for stopping by to read it. I always appreciate Floyd’s writing. The final sentence makes for good thought. I’ going to focus on serving. Floyd is an amazing writing and man. It’s a great reminder that we should serve others. Thanks for reading Dan. Thanks for the encouragement to serve. You learn so much by serving, and grow far more than those being served. A simple desire to serve others, to put them above yourself and your personal priorities creates a change within you that is not something you can quantify. Excellent point, DS. The gratification and the wisdom gained from serving and being a servant leader can’t be measured by physical means. My son is spending his first week as a junior counselor at our local church camp. He’s been there many times as a camper, being served by the counselors. Part of my words to him before he left were, “Be a servant.” He knows what that means. He does it at our home church pretty well, but this is different. New people. No mom & dad. He’s learning to be a leader by serving. Wish I had been encouraged to take those steps at his age (14). Yet, I too am learning to lead by being a servant, a follower. His following is planting seeds for future leadership. He may not see that now, but I know that’s what’s happening, and I find tremendous joy in watching that process happen in him. The simplest of statements always say the most don’t they? I’m not sure who said it originally, but I like it too. Thanks, Mike. I think it fits into your post today in a much smaller way. Which truly was a homerun of a post! Leadership from a place of service is the best kind of leadership. Great post Floyd. Thanks, Kimanzi. It is a respectful and honorable way to live. I’m still pressing to be better at it. Working at a young age is important. It teaches us commitment and responsibility. It’s part of the foundation that helps us succeed in adulthood. Learning to serve and learning to do hard work is often overlooked. So glad you spoke on this topic! I agree completely, TC. I see so many people give things to their kids that the poor kids don’t have a clue how to value because they’ve never had to earn it. We judge the kids that have come to expect things that the parents that started the habits and the vicious cycle to begin with. I believe that true love will do the hard things which means saying no more often than we do. The best things that I ever got from my raising was the moral and ethical lessons… and that was it. The other great thing that I received was not getting anything handed to me… Thanks, TC. You have a way of winding me up! I’m with you 100% Floyd. When I first began working as a nurse my coworkers knew I didn’t like taking care of kids…most of them were brats. Over the years I’ve come to learn that it wasn’t the kids I should have been irritated with, it was the parents who allowed them to be like that or shaped them into brats. I’m sure that’s not PC but I don’t care. We’ve all met brats (of all ages). Entitlement syndrome is ruining our nation. Hard work and saying “no” won’t hurt a kid but giving them everything they want can. You preach and I’ll turn the pages!!! Floyd, your post brings back memories of my father and how, being a contractor, still did things the old fashioned way (at least his side jobs for he was employed). I am so familiar with the strikes on the fingers – tried my hand at it and struck my hand sore a couple of times – because i still remember my dad’s swallowed gasps of pain and the swift “on ward match” as if nothing had happened! He too lived by service and that’s what he modeled and taught his brood of nine. We were not always enthusiastic (though we had no much choice! ), but now that we all all grown up, we treasure the values he and mum lived by, modeled and passed on to us. We live in a different generation now, one that needs to learn and live by this principle; that you serve your way up, others are not there to serve you up. Thanks for this great post. As always thoughts to help me think! I so enjoy reading the words you share about your parents, especially your dad. I’m not sure I can measure up to him or many from that generation, but I like to think I was cut from that same log. It would be my honor to be cut from same one as a man like your dad. How I respect that, a man working through pain and learning to live with it, even if it’s chronic, and take it like the man God designed them to be and teach their children by an example that matches their words… I’m still striving for it. Thanks for sharing and the encouragement I gain from your words as well, sister. Oh yeah, I agree with you that we can’t be a leader until we learn how to serve. It’s so important to know what it’s like to be led so we know the experiences from that point of view. Plus, we get an idea of what makes a good and bad leader. If you’ve been led by different styles, you’ll have a better idea of what works. Great point, Steve. It really is the learning lessons we need if we want to be successful. To see, learn, and develop a belief in what we believe is our calling or style in leadership to be is rarely done without lessons from someone, and yeah, sometimes they’re good and often not, but always something to be learned… as well as our own mistakes along the way. Good call. Thanks, Steve. Great message Floyd. Leadership, in the end, is all about the service to others. I’m with you, Joe. There is a responsibility that I believe God places on those in leadership positions. I also believe that the ones that only lead themselves are held to the same standards. Humility is a worthy trait. Great things happen when we serve and add value to others. Thank you for reading and sharing Joe! Enjoyed the post Floyd. 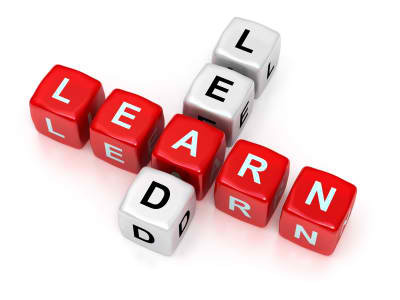 You hit the nail on the head with your last line, ‘We can’t become effective leaders until we learn how to serve’. Clever comment! The simple things are always the most profound and I need to remind myself of that fact. Thanks, Bernard. Great story and message, Floyd. We can’t become great leaders until we learn to serve. I am constantly learning that lesson and relearning it – it’s taking awhile to switch out of my “life is about having fun” mindset to “life is about loving God and others which often means sacrifice” mindset. Making progress, though. It’s like building a house, I suppose. You can see the progress, but know you still have a ways to go. We’re walking the same path, Barb. There is progress, but it does feel like slow going. That’s a great analogy about building a house. I like the way your mind ticks, Barb. Practical wisdom, can’t get too much of that. Thanks, Barb. A business leader I knew would always quote (I think from the Bible), “The greatest leader is the greatest server”. Whenever I worked for the money I never wanted to serve. When I stopped working for the money and started working at things I am passionate about I’ve found that I want to serve others regardless of the payoff. Thanks for the post Floyd! Very well stated, Sutton. Passion is a gift from God I believe and it’s like free will; everybody has it, the ones that choose to use it live an infinitely more gratifying life. I’m with you, do what you love and the money takes care of itself. Thanks for the wise input, Sutton. Amen to that Floyd. When you talk about serving before you lead its amazing the lessons you learn when you are alone on a roof. Like how to efficiently get work done, no matter how painful. Jesus was a perfect example of servant Leadership, and it showed by how he served others before himself. I totally agree, Lincoln. I agree, Jesus is the perfect example of servant leadership. Thanks for reading and adding to the discussion. I always appreciate how you read words and create a vivid picture in your mind, Lincoln. I think that’s a gift and a sign of wisdom. If we’re caring only about ourselves and not the people around us emptiness awaits our souls… Thanks, Lincoln. few Band-Aids needed there as well, but so very worth it! Thanks bro’! Ha, same with my Jay:) Jesus really provided a great example of servant hood. Thanks for reading and sharing. But wouldn’t you “Hammer – all over this world?” Your mind never fails to find an opportunity! While my mind tends to work like that, I am a mere amateur! No wonder I love Lambo and Chop! I’m with you, Jay. We can’t lead anything until we can serve and learn to lead ourselves. Band-aides all around! Thanks, Jay. Great lesson there, Floyd. Learning to serve is so important. Continuing to serve once you’ve “made it” is a close second. I haven’t “made it” yet, but I know I want to continue in that attitude of service! Thanks. From my perspective, you’ve “made” it in a big way, Jason. And the results will begin to flow forth… Thanks, Jason. Very inspirational as always Floyd. The world needs to know that hard work, and especially “character when nobody is looking” still pays off in a multitude of ways. Fantastic that he invested in your business, but I suspect he knew he was investing in a real good man. Oh man… You’re too good to me, Audra. In fairness, he knew my family and my big brother was the one framing the houses at the time, so while my actions did match the rest of my family’s, his experience went far beyond me. Thank you for the kind words, Audra. You’re never short of them, sister. Having a true servant mindset(and person of character) is about serving no matter if someone is looking or not. Glad you enjoyed the post, thank you for reading and sharing. What a great post! If we think the “menial job” our Lord Jesus did when He stepped down from the courts of heaven to serve us, I think we should be very careful of sticking up our noses at any job; especially climbing off from our ladders of importance to serve one another. You have such a way of adding the exclamation point to the subject, Mia. How perfect a perspective. The ultimate Leader that served ultimately! How can we turn our nosed up to anything or anybody? Excellent, excellent perspective! Thanks, Mia. Jesus is a great example of servant leadership. Thanks for reading and sharing. So many “leaders” want to lead the orchestra with a baton, instead of getting down there with the servers. May we be willing to “show” others how it is done. I am glad your boss realized you were worth investing in. At $25 per house – – he really owed you. As always I enjoyed your post! Good one! Amen, Hazel. How can we ask people to do things we’re not willing to do ourselves? I thought of you and Robert when I was posting this, I knew you two would be able to relate to this in a big way. Thanks, Hazel. Thanks for having me as a guest, Dan. I’m honored! Your welcome. I must thank you thought for writing such a great and thought provoking post. Your great! Your’re too kind, brother. I’ll be back in your neck of the woods somewhere around the twentieth of this month. If you’re not too busy, I’d love to hook up for coffee or lunch… same place? It’s all true:) Yes, let’s plan on meeting up. Let’s talk closer to when you will be hear to figure out the details. Sorry about not being able to meet this last time, I’ll have to tell you the reason when we meet. No worries. When the time is right I’m looking forward to it. I respect your priorities. Now that you mention it, Eddy, my noodle is a bit on the knotted up side as well! At least we’re not lonely, huh, brother? Great comment! Great post Floyd. This reminded me of your May 15, 2012 post “A Proud Man”, so I reworked the 1st stanza of the little poem I left there. I suppose anyone can take their humble job and plug it in to the end of the 2nd line. After all it’s about doing whatever you do well and being proud – not prideful – in what you do. The bible mentions something about doing whatever we do as unto the Lord. The best leaders are great servants as well. Good job my friend! No room for bragging rights, his labor’s fruit the story tells …..
You are not only highly intelligent, David, you’re a class act with a heart that flows with encouragement and talent. What a blessing you are to me, my friend, and to all who are blessed to cross your path. Thanks for sharing that poem. A perfect summary. Thanks, David, for everything. Great post Floyd…hard word does pay off. I am with David the best leaders are servants. Today I was mopping my kitchen floor on my hands and knees since it is a very small area. Because it is tile I can get it much cleaner and see underneath things knees. It’s a woman proud in her work. Love a clean floor even when on one else knows it’s clean. Keep pounded those nails for Jesus brother. Thank you for reading and sharing Betty! Your story reminds me how we should do everything unto the Lord, whether someone would see if or not. Glad you stopped by to share. You know that doesn’t surprise me a bit to hear you scrub the floor on your hands and knees. I’m with you, no matter the job, we should be all in… even when no one else is watching. I do more pounding on a keypad these days, Betty! Man… never thought that would happen… I never realized I’d end up actually using what I learned in that 7th grade typing class! Wish I would have tried harder… Thanks, Betty. So many lessons in this post, Floyd. That value of serving, the value of integrity, the importance of relationships. But ultimately, if we always do what’s right, we’ll be in the best possible position. @disqus_OraB6wofzT:disqus hit a home run with this post!!! Yes, that’s what it comes down to, thank you for adding to the discussion. Always enjoy reading your comments, Loren.